Super Dispatch Chrome Extension works with CarsArrive loads. 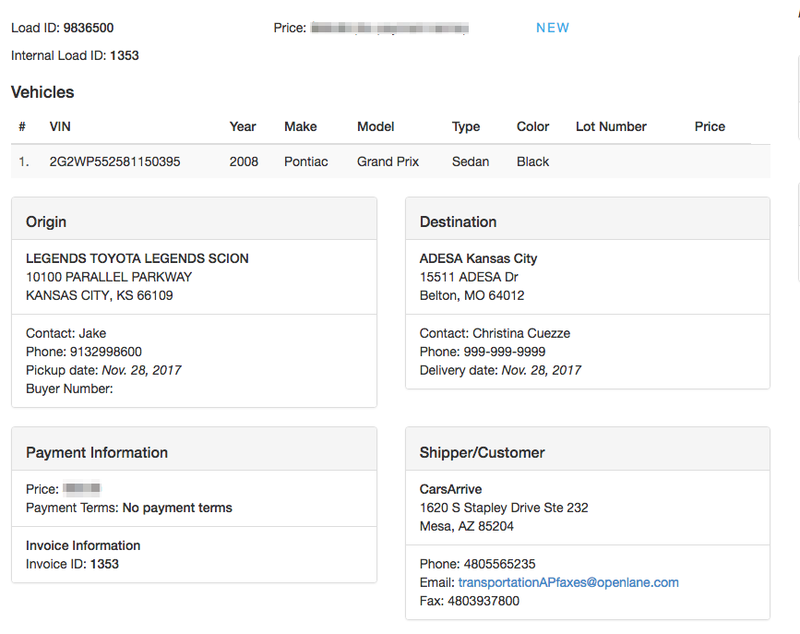 Note: In order to import orders from CarsArrive with the Chrome Extension, you must be using the Super Dispatch Dashboard and Google Chrome browser. There are 2 ways to import orders dispatched to you via CarsArrive. You must save the dispatch sheet as a .PDF file first. Please open the CarsArrive and log in into your account. The first screen (and "home screen") is the "TRANSPORTER MANAGER PAGE." There you will find the "LOADS BY USER." Next to the "User" you will see a number - indicating a number of orders dispatched to that user. Click a number greater than zero. The next screen is called "MY LOADS." Find the load you with to import and click on the small "Magnifying Glass" near the right end of the row. Click on "PDF Bill Of Lading" link and the file will be opened on this page. Then, download the file and save anywhere as .PDF (depending on your browser, you will have the option to save this order as a .PDF file). Then go to your Super Dispatch Dashboard and click on "Import Dispatch Sheet". Select the .PDF file of the dispatch sheet you had saved. Click "Open". This will auto populate the information and create a new order in Super Dispatch Dashboard. This is a much quicker way to import orders from Central Dispatch. Click on "Add to Chrome"
To use the CarsArrive Import button, first log into your CarsArrive account. The first screen (and "home screen") is the "TRANSPORTER MANAGER PAGE." There you will find the "LOADS BY USER." Next to the "User" you will see a number - indicating a number of orders dispatched to that user. Click a number greater than zero. The screen that will load next contains "LOAD INFORMATION." There you will find the BLUE "Import to Super Dispatch" button near the upper right of the screen. 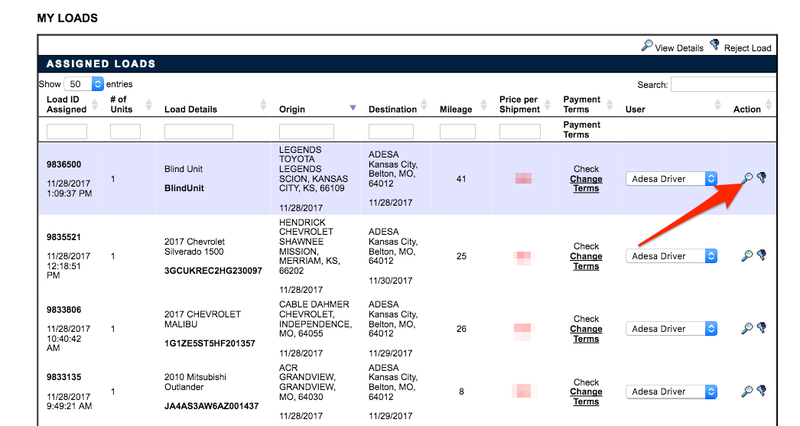 By clicking it, the Super Dispatch Order Details screen will be launched, and the vehicle order information will be auto filled into the Super Dispatch. As a Super Dispatch Dashboard user, you are now ready to edit the information and assign the order to a driver. Don't forget to press the blue Saver Order button before moving on to a different screen.